Gingerspice Studio offers a wide selection of unique, hand painted ornaments for every occasion. This 2.75” glass ornament would make the perfect gift or addition to your decor. 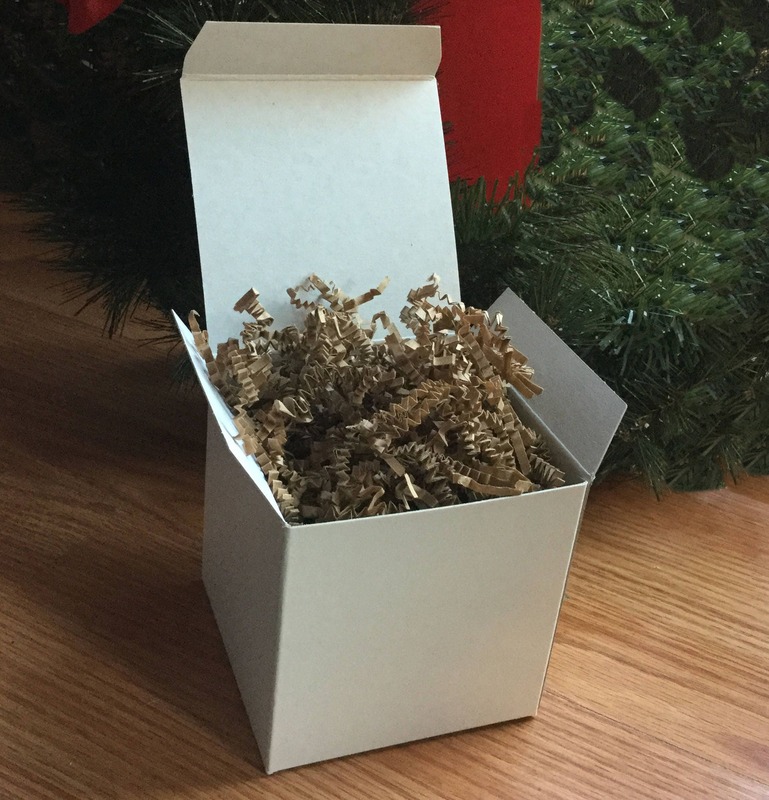 Can be personalized on the back at no additional cost, making this ornament a truly unique treasure for years to come. 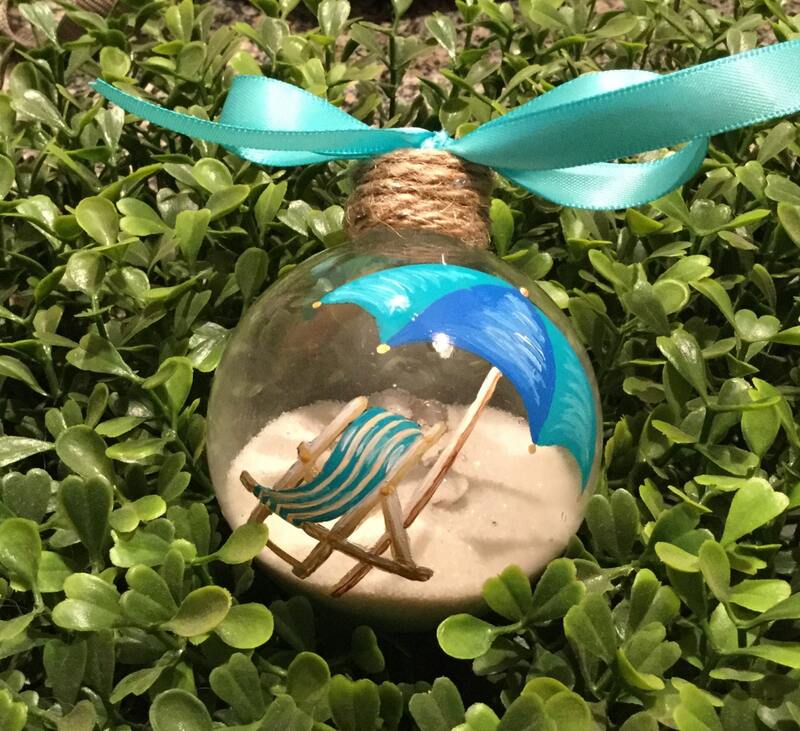 This ornament is filled with beach sand and tiny sea shells and has a hand painted beach chair and umbrella on the front. Comes ready to hang. 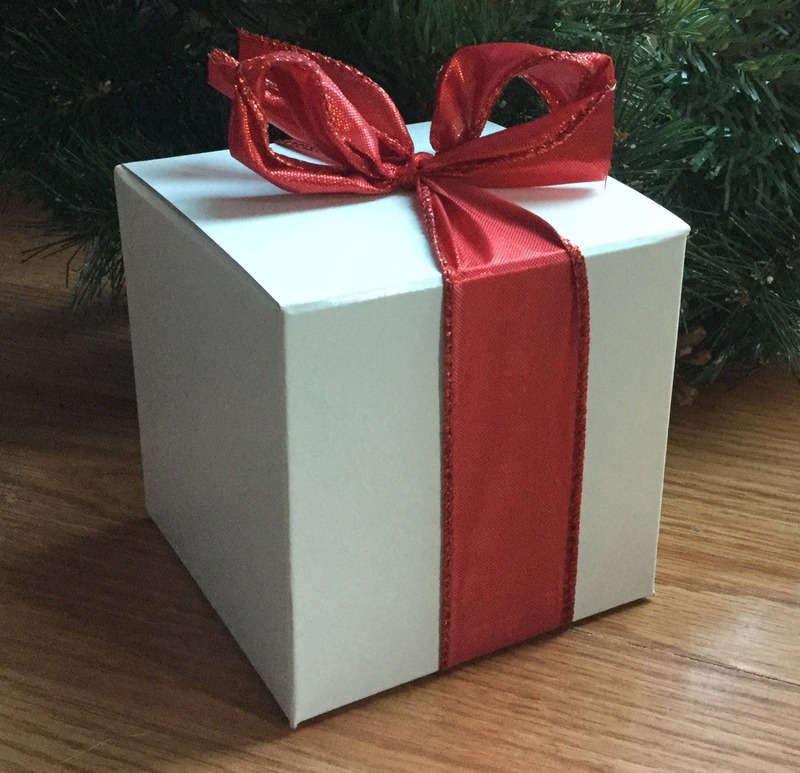 Each ornament comes in a gift box with matching ribbon and bow, making a great gift for someone special. Ornaments may vary slightly from picture since each ornament is individually hand made. Can be made in your choice of colors. Please include your personalization info in the "Notes To Seller" when placing your order. Please check your information since orders may not be returned or exchanged unless, of course, the error is at my end. If this is being sent as a gift directly to the recipient, I would be happy to include a gift card/note, just let me know what you would like it to say. Please check your information since orders may not be returned or exchanged unless, of course, the error is at my end. Beautiful! Much better than the pictures. Fast delivery. Absolutely beautiful work. We ordered these ornaments for my mom and her beach buddies. They came beautifully wrapped and the attention to detail on each ornament is simply amazing. I will certainly order again from Gingerspice. Thank you for bringing a smile to my mom's face and her long time friends as well.